Make a classic dish with our Ice Cream Sundaes recipe. A drizzle of strawberry flavor and whipped topping make our Ice Cream Sundaes universally adored. 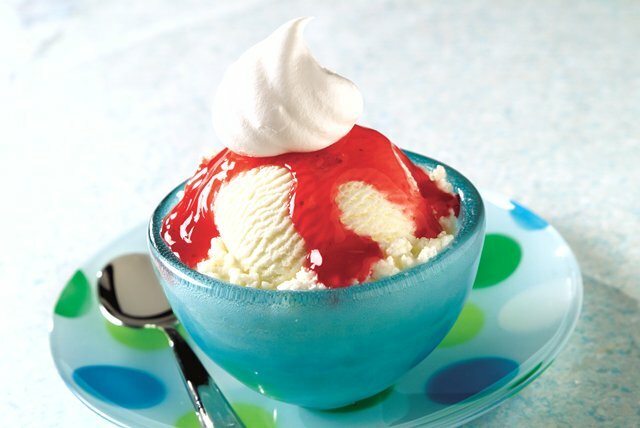 Scoop ice cream evenly into 4 dessert or sundae dishes; drizzle with strawberry topping. Top evenly with the whipped topping. Garnish with maraschino cherries, if desired.